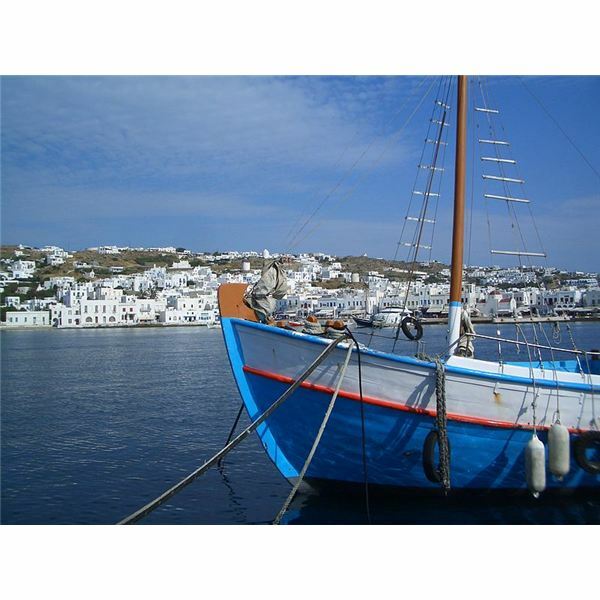 The Greek Islands are an amazing place considering the night life of Mykonos, the ancient statues and castles of Rhodes and the “only get to by cable car or donkey island" Santorini. The Islands are full of culture including Greek wedding ceremony traditions! As my husband and I ventured from Athens to clipper ship, we explored island after island, most offering up jewelry made of diamonds and emeralds, hand-made wedding lace and pottery and china to amaze—surprisingly at affordable prices compared to the United States. One thing we wondered on each and every island was, “Are they hiding the young beautiful women somewhere on these islands?" The islands were full of colorful characters: young and old men playing chess or backgammon and the elderly women dressed in rainbows of colors—but the young—they were nowhere to be found! Since we had seen the young and beautiful in Athens, we wondered more about the mystery of keeping them hidden away—perhaps awaiting the wedding of their dreams. Greek Orthodox weddings are indeed lively and include two sacred services, ribbons, crowns, handkerchiefs dancing and the parties can last all night long. Attire for brides includes Athena off-the-shoulder style gowns, delicate lace and trains that seem to go on forever. For the groom, although decades ago they may have dressed in family colors, simple black tuxedos are now the norm. 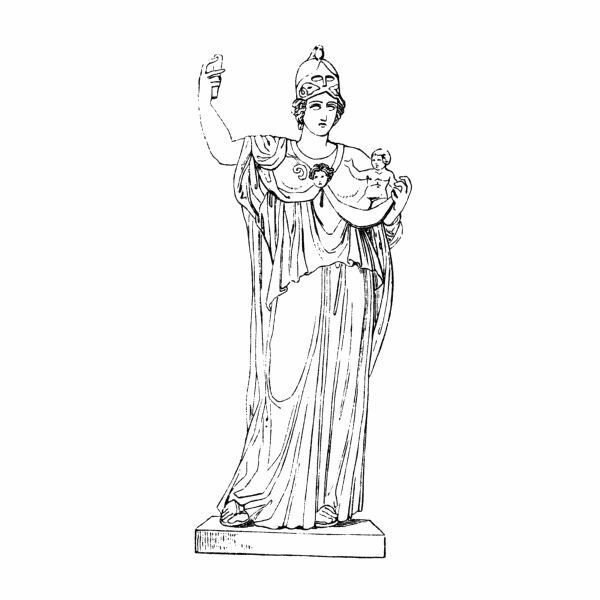 Greek ceremonies also include bridesmaids and groomsmen and sponsors much like the maid of honor or best man in the United States, however there are some rules. The male sponsor are called Koumbaros and the female, the Koumbara and more than not, the couple may choose only one sponsor—a Koumbara takes her place during the ceremony by the groom. If the couple decides on both a male and female sponsor, the two combined sponsors are called the Koumbari and males stand by the groom where females by the bride—but yet there are even more rules! If both the Koumbaros and Koumbara are married, they take their place beside the groom only. Dress for male sponsors is usually similar to other groomsmen where the Koumbaros’ gown is different from bridal attendants and often chosen by the bride. I Love You Three Times! Greek wedding ceremony traditions include elements presented in repetition of threes—representing the Father, Son, and the Holy Spirit and other symbols represent unity of the couple and Koumbaris are very involved, whether it’s one sponsor to two. Prior to the actual wedding ceremony, the couple meets with a Greek Orthodox priest three times; this begins the traditional importance of doing everything in threes. The first part of the ceremony is called the service of the Betrothal and begins with the priest blessing the rings and crossing them three times over the top of the couple—again representing the Father, Son and Holy Spirit. The Koumbari or sponsors are next given the rings and three times the sponsor exchanges the rings on both the bride and groom’s right, not left ring fingers. This effort by the Koumbari represents betrothal and has been traditional for centuries. 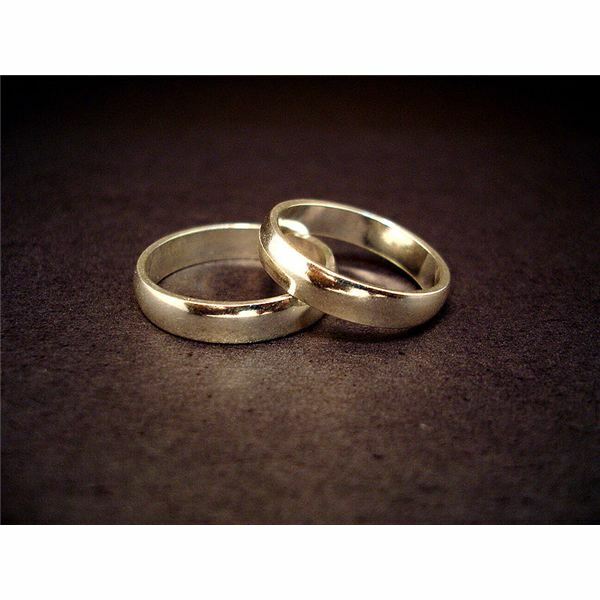 The purpose of the exchanging of the rings three times represents unity and how the couple will be bound to one another through good and bad times. Candles are held by the couple and they are always white and represent the couple’s faith in Jesus. Next, is the Stepsis part of the wedding also known as the crowning. Crowns can of the very expensive with jewels and gems to the simple and are connected by a white ribbon and symbolize the couple are essentially the kind and queen. Once the crowns are placed on the heads of the couple the priest offers three prayers to God to bless the couple. This part is similar to traditional weddings only instead of the bride and groom changing verbal vows, the priest claims they will have fidelity, love, children, happiness, and trust. At the end of the final prayer, the couple’s hands are joined by the priest symbolizing unity. Scriptures from the Epistle and Gospel are read by the priest. These are key readings as they follow the exact prayer-format from the wedding at Cana in Galilee (a wedding Jesus attended turning water into wine). A plain goblet is used offering wine, much as in ancient times and offered to both. The end of the wedding is where the priest guides the couple three times around what the Greeks call the Holy Table—a cross and gospel book are placed on the table and the priest and Koumbari sing a hymn representing the couples love and dedication to one another. Once the couple has completed their walk, the priest offers his blessings to each. To the groom, the exact words, “Be thou magnified, O bridegroom, as Abraham, and blessed as Isaac, and increased as Jacob, walking in peace and working in righteousness and the commandments of God." To the bride, he says the words, “And thou, O bride, be thou magnified as Sarah, and glad as Rebecca, and do thou increase like unto Rachel, rejoicing in thine own husband, fulfilling the conditions of the law; for so it is well pleasing unto God." Crowns are removed and a ribbon is tied onto the wrists of the couple showing they are bound in marriage. Often the couple may dance inside the church while connected in love and marriage by the ribbon. After the Greek wedding ceremony, traditions at the reception continue. The reception includes elements such as Koufetta—aka Jordan almonds, which are offered on silver wedding trays holding decorative rice. Koufettas are also found in wrapped wedding favors made of tulle and each favor holds an odd number of almonds to symbolize uniqueness of the couple. Next the party begins with food favorites include kapama, moussaka and spetsiota. Ouzo is the drink of choice—a licorice flavored lacquer along with both red and white wines. Desserts include pastries all placed around the wedding cake. 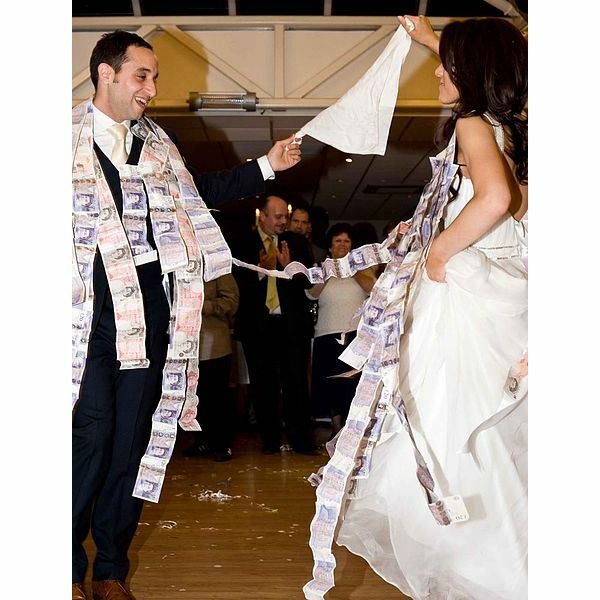 The bride’s traditional Kaslamantiano (Circle Dance) includes a circle of two rows of guests where the invited throw money (not coins) in the center near the bride. The band and other guests may break plates or dishes outside the circle. Handkerchief dances by men and women are a must and finally the breaking of a pomegranate at the receptions ensures fertility for the couple. These parties can last long into the night before the couple leaves for their honeymoon or bridal bed—often the bridal bed is also covered with almonds to embrace the couple’s first night together. If you do indeed have a chance to attend an Greek wedding, do so, and pay close attention to each tradition, their symbols, and what the Koumbari’s attend to during the wedding. Many countries offer up beautiful and culturally enriched wedding ceremonies—but perhaps none as strict to detail as the Greek where tradition means everything to ensure the couple’s union will last a lifetime. So, I’m still wondering where they are hiding all those wannabe young brides to be on those fabulous Greek Islands! Perhaps alone in their homes using ancient talents to create handmade lace and dream of what the future holds.